This channel is underwritten by QuestionPro, makers of online survey software that allows users to generate the insights they need to make better business decisions. The software includes polling, tablet and smartphone research, and data visualization for analysis. 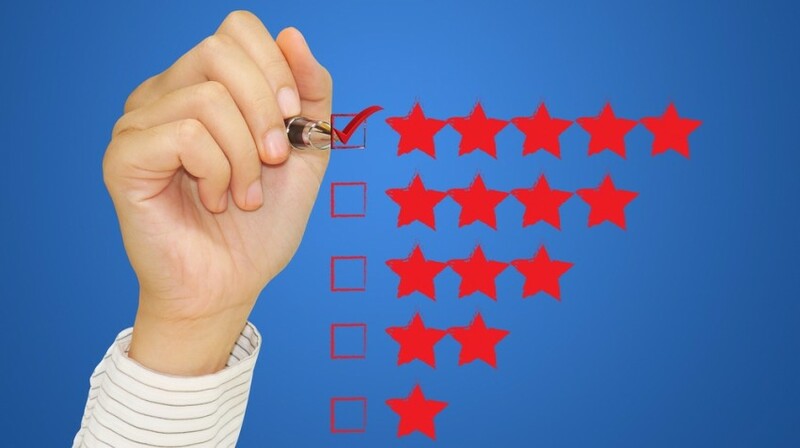 Customer reviews have the potential to make or break your business. Great reviews can give your brand credibility and lead to more loyal customers. But too many bad reviews can make customers lose interest before they even get a chance to buy from you. So how do you get more of the positive ones and fewer negative ones? Below are 12 actionable approaches you can use to make sure your business gets more stars in every customer review — and an opportunity at the end for a unique chance to learn more. After doing business with a customer, you should check in with them to see how their experience was. Send an email if they did business with you online, or use whatever method you normally use to follow up with customers. 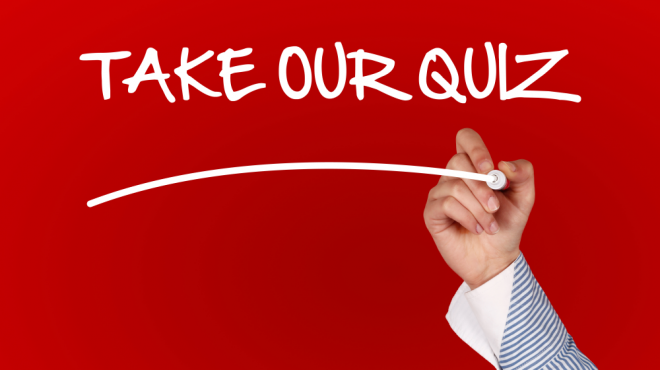 Ask them to rate their experience and ask what you might be able to improve for next time. If you don’t ask customers to share their experience with you, they’re more likely to just post something publicly. So if they were unhappy with their experience, it’s going to be shared with everyone online. But if you ask them yourself, they can give you their feedback in a controlled environment, and you can get some potentially helpful insights for your business. Some customers will almost certainly give you tips for improving their experience in the future. While some of the insights you get from your post-transaction surveys won’t be helpful, it’s still important to go through them. You never know when you might start seeing trends emerge over time from the responses you receive. If, for example, an increasing number of your customers had issues with the checkout process, it’s worth trying to change it. If they were unhappy with shipment times, consider looking into other shipping options. When you actually make changes based on customer feedback, it tells them that you care about what they have to say and makes the experience better for them and for future customers. Yelp and similar sites allow you to claim your business and set up a designated place for customers to share their reviews. This can make it easier for customers to find your review space on search engines. It also makes it easier for you to respond to customers when necessary. Of course, you get more reviews when you ask for them. Don’t flat out ask people to leave you positive reviews. In fact, sites like Yelp discourage such activity. But you can go out of your way to point satisfied customers toward online review sites. When you follow up with customers after a purchase, consider using a quick follow up message for those who had positive experiences asking for reviews on Yelp or Facebook. You can also include links to these sites directly on your website. For online surveys, QuestionPro offers a unique “Push to Social” question type that can be set up to automatically encourage reviewers to share positive ratings on social media sites. Even if you complete most of your sales offline, you should still ask your customers how their experience was. If you do business in person, ask them in person or consider making comment cards available. If you do business over the phone, follow up in that way. Then you can verbally direct people to your website or online review sites. In addition to reaching out to customers, you should make it easy for them to reach out to you if they need to. Include an email address, phone number where they can reach an actual person, and social media accounts on your website. If they have a question while completing a purchase, or concerns after the fact, then they can reach you easily and directly. Make sure you’re active on your website, blog, or social media. That way, people will be more likely to approach you if they have an issue instead of taking it right to a review site. Even if you have an email address clearly listed on your website, some people could be hesitant to contact you. But if you attach a face to your brand by blogging, using social media, or at least having an informative “About” page, more people might feel comfortable reaching out to you directly. No matter how great your service is or how easy you make it for people to reach out to you, you’re likely to get at least a few negative reviews online. Use a tool like Google Alerts to keep track of what people are saying about your business so that you can take action if necessary. When you get those negative reviews, you should respond right away. Don’t get defensive or respond out of anger. Do try to offer some type of solution or at least explain your company’s side of the story in a clear and professional way. Even if you can’t fix the problem right away, at least respond to their review or comment to let them know that you’re working on it. Then follow up with them when the issue has been resolved. Most customers who have had a bad experience simply want an apology. Whether they reach out to you directly or post an online review, you should apologize. Even if you don’t feel that your company did anything wrong, you can say you’re sorry that they had a bad experience and hope it will be better next time. You don’t have to just respond to people who leave negative feedback. You might even consider sharing the positive reviews or feedback on your blog or social media accounts. When customers see other people leaving positive reviews, they might be more likely to do the same. It can also help customers feel more connected to your brand. The most important thing you can do to get great reviews is to give customers a great experience. Always work to make improvements to the customer experience by talking to them and making improvements based on their feedback. You can’t get great reviews without offering a great product or service to begin with. As Chief Marketer for Small Business Trends, Amanda oversees online marketing, email marketing and social media marketing for the Small Business Trends group of sites. It always pays to go another mile. And that does not only apply in asking for reviews. It also applies to making sure that customers are satisfied. Do this and you will have five star ratings one after another. Could you list some companies that have received 5 star reviews during the years. Great article! My name is James Jenkins and I am wanted to ask if it would be possible to re-produce your article on my site Soko Village. Soko Village is a web building platform where small business owners can build and manage their own high quality websites. In addition to the sites that we offer we would like to create a resource section of the site which includes information for Small Businesses. As a result I am interested in posting helpful business articles as blog posts, news letter feeds, social media etc. We of course would provide the correct links back to what ever site you like along bio and or contact information. Thanks for writing! Great tips. I think when it comes to business or rating, we cannot expect others to leave it unless we ask for it. Of course, you got ask it in a very nice way. Sharing this around and good job!